Malta has allowed two German NGO rescue ships to enter port after they were stuck in limbo for weeks in the Mediterranean, thus ending an embarrassing political impasse for the EU. "Let me commend Malta, our smallest Member State displaying biggest solidarity," said EU Migration Commissioner Dimitris Avramopoulos in a statement. The Sea Watch 3 and the Professor Albrecht Penck rescued 49 North Africans in danger of drowning on December 22 and December 29 respectively. 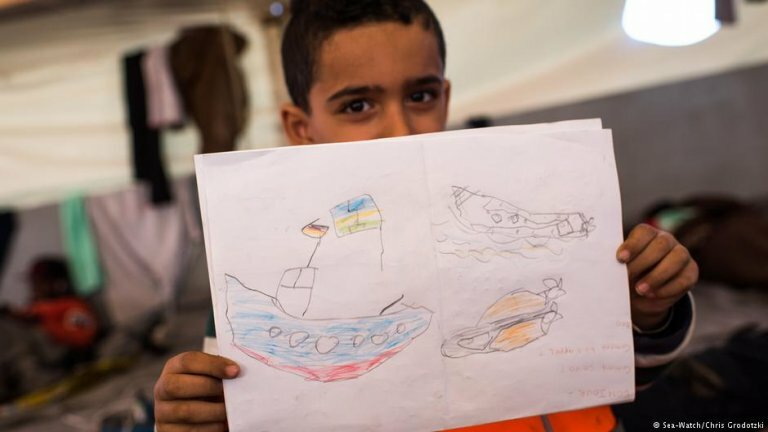 But the ships, which sail under German flags, weren't allowed to land as Germany and other EU nations wrangled about where these refugees and 249 others already in Malta would be sent. "We're absolutely prepared to accept these fifty people and have been for months," German Interior Minister Horst Seehofer told reporters on Tuesday. "But we have set a precondition that a significant number of EU states show joint solidarity." Specifically, Berlin was insisting that other EU members agreed to take in 249 other refugees already on Malta before it accepted the 49 on the two ships, an interior ministry spokesman told DW. A ministry official confirmed that Germany would take in a total of 60 refugees from both groups. Maltese President Joseph Muscat was quoted as saying refugees would be distributed to eight EU states: Germany, France, Portugal, Ireland, Romania, Luxembourg, the Netherlands and Italy. The Germany interior ministry said that eight EU members had agreed to participate, but that more might be forthcoming. Germany's contingent wouldn't change in that case, he added. The NGOs Sea Watch and Sea Eye, which operate the two vessels, have been highly critical of the German government and Seehofer in particular for failing to take in the refugees on the ships. 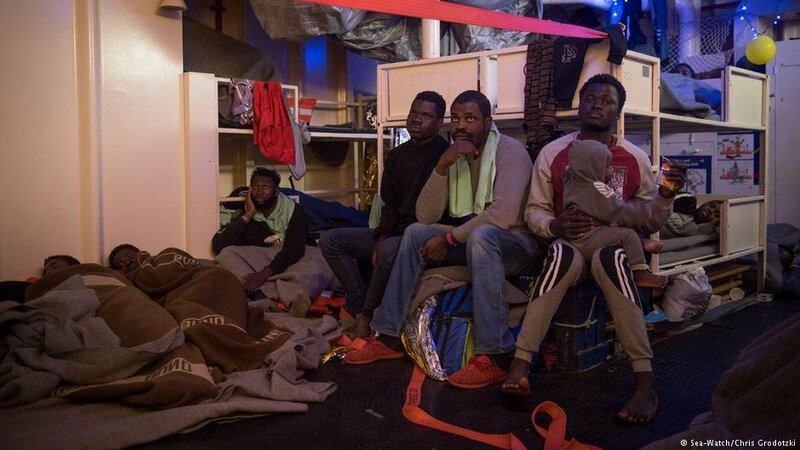 On Tuesday, the two groups held a joint press conference at which they described the rapidly deteriorating hygenic and psychological conditions on board the vessels. "The EU is releasing its 49 hostages," Sea Watch tweeted after the refugees were allowed on land. "After 19 days at sea, our guests are now in a safe port. It's a sign of government failure - politics should never be pursued at the cost of people in need." The interior ministry spokesman admitted that the compromise concerning the refugees in Malta was an "ad hoc" measure and not an indication that the EU had made progress toward a long-term agreement on how to distribute refugees throughout the bloc. The term "hostage" may be a somewhat drastic, but there is no denying a certain brinksmanship in German policy at present. Sea Watch and Sea-Eye point out that more than 30 communities in Germany, including the cities of Berlin, Bremen and Hamburg had agreed to take in the refugees on their ships only to be prevented from doing so. They want Seehofer to use a clause in Germany's residency law to admit people like the ones the rescued to the country. "In the relevant paragraph, it says that the German interior minister must grant permission (to communities accepting refugees)," See-Eye rescue boat crew member Erik Marquardt said on Tuesday. "He's blocking that right now." The interior ministry says it only admits asylum seekers to Germany under the rules of the largely-defunct Dublin Regulation. Germany has been trying for months to convince other EU member states to revive the controversial agreement or replace it with a new deal. The interior ministry says the responsibility for cases like the Malta refugees ultimately rests with Brussels. The European Commission says that it's up to national governments to reach consensus. "As the Commission already said in December, we are ready to work with Member States to put in place temporary arrangements, which would serve as a bridge until the new Dublin Regulation becomes applicable," a Commission spokesman told DW. "All agree that the reform is needed: A reformed Dublin Regulation that finds the right balance between responsibility and solidarity is the only structural solution possible in the medium term." The ones who suffer most from the governmental impasse are, of course, refugees who are made to wait on overcrowded ships in the hope that ad hoc deals will allow them to disembark somewhere in the bloc. Sea Watch team leader Philipp Hahn described contacting the German Maritime Search and Rescue Association for advice about where to head with the refugees. He was told to hand them back to the Libyan coast guard. In a statement on its website, the Association says that the Mediterranean is outside its jurisdiction and doesn't give advice to ships there. That's a story likely to be repeated as long as there's no functional larger European agreement on refugees. The NGO's point out that while the numbers of refugees arriving in Europe has declined dramatically since their peak in 2015 and 2016, thousands of people die every year trying to cross the Mediterranean. The United Nations International Organization for Migration has called that body of water "by far the world's deadliest border."